Educational crafts with how-to craft videos, DIY kids' crafts, games and STEM and STEAM activities designed to make teaching and learning fun. Bible-based crafts, and great resources for Sunday school teachers, children's ministry, preschool teachers, library programs, home school teachers, and special occasions. Quick and easy Bible lessons for combined ages. DIY, Cheap and Easy Crafts for Your Children and Students! Make this 3D display of the Last Supper to review the lesson, the disciples' names, and what they said. This crafts is available on The Last Supper Bible Crafts Page. Children can move the hand up and down to wash the foot on this hands-on craft. 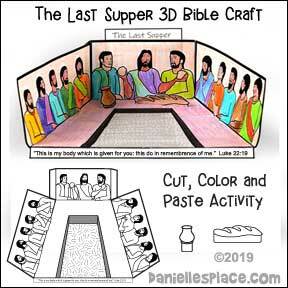 Go to The Last Supper Bible Crafts Page for directions and a link to the pattern. Students help make this display by coloring a craft stick to look like a disciple. The directions and links to patterns for this craft are available on The Last Supper Bible Craft Page. 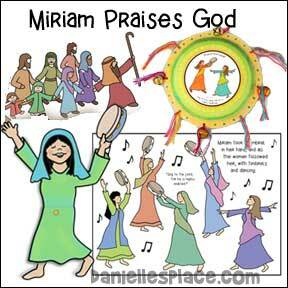 Children learn about how God save the Israelites by helping them cross the Red Sea and how Miriam praised God. Children will love making and playing with this craft. It is available to members and as an instant download. 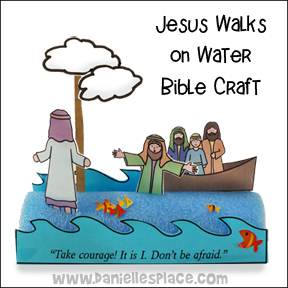 Go to Jesus Walks on Water Crafts Page for Directions and Patterns. Children learn that God wants them to love others as much as they love themselves. In this lesson they learn how to think of other's needs by "walking in their shoes". Go to the Bible Lesson Page for more information. 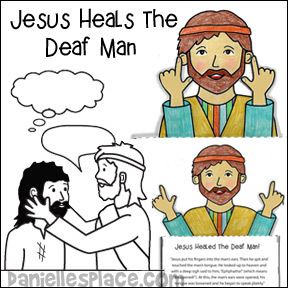 You can find links to a Bible lesson, crafts and learning activities for both younger and older children on the Jesus Heals the Deaf Man Bible Crafts Page. Children learn who their neighbors are and make a horse Good Samaritan mini book with pictures from the story. Go to the Good Sarmaritan Bible Craft Page 2 for directions and printable patterns. Children learn through King Joash’s example that listening to good advice is important and disregarding it leads to destruction. 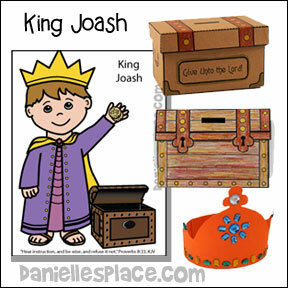 Go to The King Joash Bible lesson to find crafts and activites for this lesson. 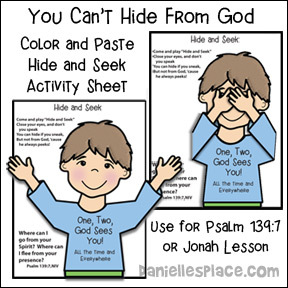 This activity sheet contains a poem and Psalm 139:7 Bible verse. 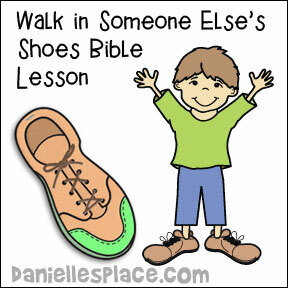 Go to "You Are There" Bible lesson for directions and printable patterns. 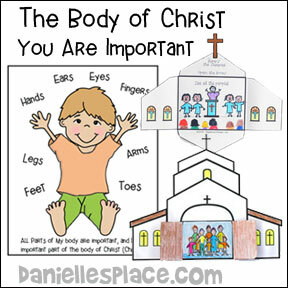 Children learn that they are an important part of the Body of Christ just as their feet, hands, and ears are an important part of their bodies. Go to "The Body of Christ" Bible lesson to see lot of crafts and activites for this lesson. 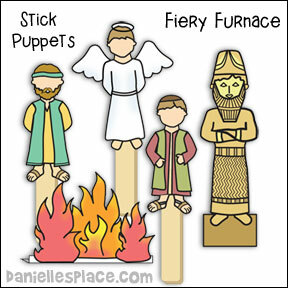 Use these puppets to act out the Fiery Furnace Bible Story. Children color and draw faces on the figures and glue them to craft sticks to make puppets. Go to Fiery Furnace Craft Page for printable patterns.